Vannett hauled in one of two targets for five yards in Saturday's wild-card loss to the Cowboys. Vannett snagged two of three targets for 17 yards in Sunday's win over the Cardinals. Vannett caught both of his targets for 11 yards and a touchdown in Sunday's 38-31 victory over the Chiefs. Analysis: Vannett gave the Seahawks the lead shortly before halftime, taking a Russell Wilson dump-off pass for the one-yard touchdown. It snapped a five-game scoreless streak for Vannett, who has been slightly less productive than veteran Ed Dickson over the past six weeks. 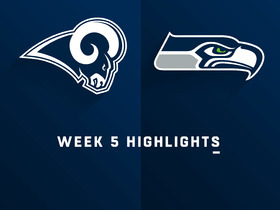 During that span, Vannett has accounted for 74 yards and two touchdowns on eight receptions, while Dickson has logged 10 catches for 87 yards and two touchdowns. Vannett was unable to bring in his only target during Sunday's 26-23 loss to San Francisco. Analysis: The Seahawks, Sunday's penalty-filled outing aside, have been hot, but that hasn't translated into success for Vannett. He hasn't topped 25 yards receiving since Week 9 and has scored just once during that span. Sunday could offer the cure to what ails him as Seattle -- hunting for a playoff spot -- takes on a Chiefs team that often forces opposing offenses to play catchup and has surrendered a league-high 305 receiving yards per game in the process. Vannett hauled in his only target for 12 yards in Monday's win over the Vikings. Analysis: Vannett picked up a first down with his catch early in the first quarter, but Wilson didn't throw his way the rest of the contest. In the last four games, Vannett has five catches on six targets for 55 yards and no touchdowns. Vannett hauled in his only target for four yards in Sunday's win over the 49ers. Analysis: Since Ed Dickson didn't get a look, Vannett was the only Seahawks' tight end to receive a target. Vannett is averaging just 2.2 catches and 20.8 receiving yards per game. The third-year pro can't be depended on in fantasy formats. Vannett caught both targets for 22 yards in Sunday's win over the Panthers. Analysis: Both of Vannett's receptions brought the team within 21 yards of the end zone, but he failed to score for the second straight week. Fellow tight end Ed Dickson also saw two targets. Vannett has a tough Week 13 matchup on the horizon, as the 49ers have allowed just five touchdowns in 11 games to tight ends this year. Vannett caught one of two targets for 17 yards in Thursday's 27-24 win over the Packers. Analysis: Vannett's one reception landed him a yard short of the goal line and running back Chris Carson punched it in on the next play. This marked the third time in four games Vannett logged just one catch, a trend that places him on the fringe in most fantasy formats. Vannett caught an 8-yard touchdown pass in Sunday's 36-31 loss to the Rams. Analysis: A week after leading the team with eight targets, Vannett was targeted just twice. The third-year pro does have a score in two straight games, but he's still not dependable. The Seahawks' next game is Thursday against the Packers, who haven't allowed a tight end to score against them this year. Vannett caught six of eight targets for 52 yards and a touchdown in Sunday's 25-17 loss to the Chargers. Analysis: Vannett's eight targets tied with running back Mike Davis for the most on the team. Prior to this matchup, Vannett averaged just 3.5 targets per game and didn't have a touchdown this season, so this is certainly an anomaly. Next comes a matchup with the Rams, who have allowed just two touchdowns to tight ends through nine games. Vannett caught one of three targets for 16 yards in Sunday's 28-14 win over the Lions. 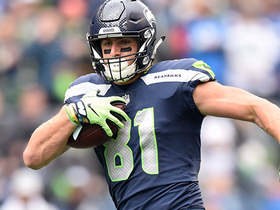 Analysis: Vannett has competition for the starting tight end gig in the form of Ed Dickson, who caught two passes for 54 yards and a touchdown in his Seahawks debut. Vannett still doesn't have a score this year. Vannett (back) will play Sunday versus the Lions, John Boyle of the Seahawks' official site reports. Analysis: Vannett hasn't been an intriguing fantasy option this year with just 12 catches on 18 targets in five games, and it won't get any easier with Ed Dickson (quadriceps) returning from the reserve/Non-Football Injury list. It's unclear if Dickson will be given a full workload right away. Still, Vannett's fantasy value should be discounted accordingly since Dickson's resume is easily the better of the two. Vannett (back) was a full participant in Thursday's practice, John Boyle of the Seahawks' official site reports. Vannett (back) was a limited participant at Wednesday's practice, John Boyle of the Seahawks' official site reports. Analysis: After receiving treatment for the back issue during the Seahawks' Week 7 bye, Vannett is kicking off the current week in a positive manner. He'll look to build upon Wednesday's limited showing as the week continues with an eye toward returning Sunday in Detroit. 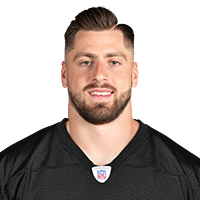 He could be joined by veteran tight end Ed Dickson (quadriceps), who is practicing with the intent of coming off the reserve/non-football injury list. Coach Pete Carroll said Vannett will receive some "special work" on his back during the Seahawks' Week 7 bye, Brady Henderson of ESPN.com reports. "We think he'll be back [Week 8 at Detroit] but it is something we're monitoring along the way," Carroll added. Vannett (back) is inactive for Sunday's game against the Raiders. Analysis: Vannett's presence on the inactive list comes as a surprise after coach Pete Carroll said just two days earlier that the third-year player would be available for the London game. With Vannett sidelined for at least this week and Will Dissly (knee) on injured reserve, the Seahawks are suddenly thin at tight end. Darell Daniels and Tyrone Swoopes -- both of whom were members of Seattle's practice squad less than two weeks ago -- will represent the team's only options at the position in Week 6. Coach Pete Carroll said Vannett (back) will play in Sunday's game against the Raiders in London, Gregg Bell of The Tacoma News Tribune reports. Analysis: Vannett was held out of Friday's practice and listed as questionable on the final injury report, but Carroll seems to be suggesting that the team is merely being cautious. Darell Daniels is the only other tight end on the 53-man roster, so Seattle will need to sign another player Saturday if there's any real doubt about Vannett's availability. The third-year pro handled an 83 percent snap share last week in the first game since fellow tight end Will Dissly (knee) suffered a season-ending injury. Vannett (back) didn't practice Friday and is listed as questionable for Sunday's game against the Raiders in London, Brady Henderson of ESPN.com reports. Vannett (back) won't practice Friday but is expected to play in Sunday's game at Oakland, John Boyle of the Seahawks' official site reports. Analysis: Vannett has a history of back issues that cropped up again this week, limiting his participation in practice. Coach Pete Carroll indicated it was a rest day for the 25-year-old, but the injury is worth keeping an eye on, at least until the official injury report is released later Friday. Vannett (back) practiced in a limited capacity Thursday, John Boyle of the Seahawks' official site reports. Analysis: Vannett was absent from Wednesday's session due to a back injury, which was worrisome due to a history of such issues, per Bob Condotta of The Seattle Times. In a media session Thursday, though, coach Pete Carroll told Mike Vorel of The Seattle Times that Vannett is "good" and "fine." Friday's injury report will confirm as much for the Seahawks' No. 1 tight end. Vannett (back) is participating in Thursday's practice, Gregg Bell of The Tacoma News Tribune reports. Analysis: Vannett's back injury prevented him from taking part in Wednesday's session. 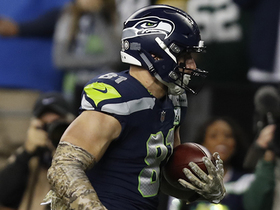 The tight end's return to the field Thursday suggests he's on track to play Sunday against the Raiders in London, a notion echoed by coach Pete Carroll, per Mike Vorel of The Seattle Times. The Seahawks will release their practice report later Thursday, at which point it will be revealed whether Vannett was a limited or full participant. Vannett didn't participate in practice Wednesday due to a back injury, John Boyle of the Seahawks' official site reports. Vannett hauled in three of four targets for 43 yards in Sunday's 33-31 loss to the Rams. Analysis: Vannett logged 50 of 60 offensive snaps, as he was one of two healthy tight ends. The other, Darrell Daniels was promoted from the practice squad earlier in the week. Vannett's fantasy value remains low with just 18 targets and no touchdowns over the first five weeks. Vannett caught one of two targets for six yards in Sunday's 20-17 win over the Cardinals. Analysis: A week after pacing the team with four catches, Vannett was an afterthought despite starting tight end Will Dissly leaving early with a knee injury. It's highly unlikely Dissly can suit up in the near future, so Vannett should see an uptick in usage as the only tight end on the 53-man roster. However, fantasy owners should be skeptical of starting him Week 5 against a Rams defense that has allowed the second-most yards (328) to tight ends but hasn't allowed one to score yet this season. Vannett hauled in four passes on five targets for 27 yards in Sunday's 24-13 win over the Cowboys. Analysis: Vannett tied with Tyler Lockett for the most receptions on the team Sunday. More importantly, Vannett logged 35 offensive snaps while rookie Will Dissly accrued 39 while catching just one pass for four yards. 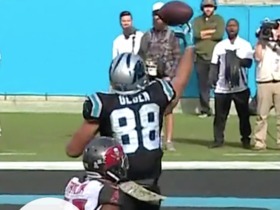 That means the gap between the two tight ends may not be as big as it seemed, and fantasy owners may have trouble determining which one will be targeted more in a given week. Vannett caught three passes on five targets for 23 yards during Monday's 24-17 loss to the Bears. Analysis: Vannett matched the target count of rookie Will Dissly, who has scored in each of the first two games. The 25-year-old was still one of Russell Wilson's favorite targets Week 2, and his 6-foot-6 frame should grab his attention near the end zone soon. The Seahawks host the Cowboys in Week 3. Vannett is listed as the Seahawks' second-team tight end on the team's unofficial depth chart for Week 2, Michael-Shawn Dugar of The Athletic reports. Vannett played 35 of 57 snaps (61.4 percent) on offense in Sunday's 27-24 loss to Denver, catching one of two targets for 11 yards. Analysis: Rookie tight end Will Dissly stole the show with a 3-105-1 receiving line on five targets, making the most of his 33 snaps. 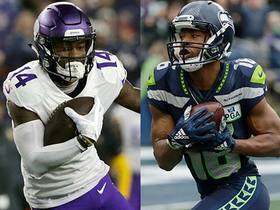 Of course, it'll be tough for either tight end to maintain fantasy utility if the timeshare continues, and the Seahawks may eventually add Ed Dickson (quad, groin) into the mix after Week 6. Vannett draws a Week 2 matchup with the Bears on Monday Night Football. Vannett's teammate Ed Dickson isn't making much progress in his recovery from a quad injury, Gregg Bell of The Tacoma News Tribune reports. Vannett brought in two of three targets for 20 yards and a touchdown in Thursday's 19-17 preseason loss to the Colts. Analysis: Vannett lined up as the Seahawks' top tight end with Ed Dickson (groin) sitting out. 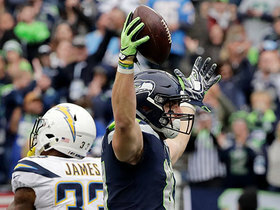 Jimmy Graham is in Green Bay now, so the Seahawks will need another pass-catching tight end to fill the void of his 27 red-zone targets, and Vannett will battle Dickson for some of those chances. Seahawks coach Pete Carroll said Vannett played through a back injury for much of his first two NFL seasons, Bob Condotta of The Seattle Times reports. Vannett is slated for a larger role in the Seahawks offense in 2018, Brady Henderson of ESPN.com reports. Vannett had 12 receptions on 15 targets for 124 yards and a touchdown in 15 games for the Seahawks in 2017. Analysis: Vannett began and finished the season as Seattle's No. 3 tight end behind Jimmy Graham and Luke Willson, but ended the year with similar numbers to Willson, who had 15 receptions for 153 yards. The 24-year-old increased his production from his rookie season last year, and will aim to take a similar step forward in his third year..
Vannett (back) is inactive for Sunday's game against the Cardinals. Analysis: Vannett popped up on the injury report Friday after the back issue limited his participation in practice. While it's not believed to be a major concern for Vannett, he was evidently hurting too much to give it a go for the regular-season finale. Tyrone Swoopes will dress as the Seahawks' No. 3 tight end as a result. Vannett (shoulder) is listed as questionable for Sunday's game against the Cardinals, John Boyle of the Seahawks' official site reports. Analysis: Vannett's only practice participation of the week came in a limited session Friday. The 24-year-old would serve his usual role as the Seahawks' No. 3 tight end with second-stringer Luke Willson (ankle) expected to play Sunday. Vannett (shoulder) is listed as active for Sunday's game against the Cowboys. Analysis: Vannett was considered questionable to play despite practicing without limitations both Thursday and Friday. He'll continue to operate as the Seahawks' third-string tight end Sunday, behind Jimmy Graham and Luke Willson. Vannett (shoulder) is listed as questionable for Sunday's game against the Cowboys, Gregg Bell of The Tacoma News Tribune reports. Analysis: Vannett was able to practice in full Thursday and Friday, which makes the questionable tag somewhat surprising. The 24-year-old seems on track to play Week 16, and should continue in his usual role as a depth tight end for the Seahawks. Vannett (shoulder) put in a full practice Thursday, Michael-Shawn Dugar of SeattlePI.com reports. Analysis: Vannett injured his shoulder in last week's blow out loss to the Rams, but avoided anything serious. He practiced in limited fashion Wednesday, but appears to be recovered from the issue at this point. Look for him to take on his usual role providing depth at tight end assuming he avoids any setbacks. Vannett avoided significant damage to his shoulder in Sunday's blowout loss to the Rams, Bob Condotta of The Seattle Times reports. Analysis: Vannett exited midway through Sunday's game and underwent testing Monday to help determine the extent of the injury. No further specifics were offered on the injury, but the 24-year-old's practice participation later this week should provide a good barometer for his Week 16 availability. Vannett suffered a shoulder injury in Sunday's game against the Rams and is doubtful to return, Bob Condotta of The Seattle Times reports. Analysis: Vannett is mostly a run-blocking tight end, so his absence shouldn't affect the Seahawks' offense significantly, especially with a pass-heavy approach in place with the team trailing the Rams by a large margin. 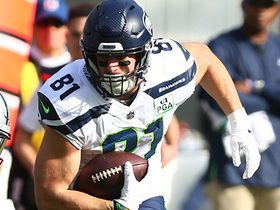 Jimmy Graham and Luke Willson are the only healthy tight ends remaining on Seattle's roster. Vannett converted his three targets into three catches and 40 yards during Sunday's 24-10 win over Philadelphia. Vannett scored his first career touchdown Sunday, catching two of four targets for 29 yards in a win against the 49ers. Analysis: Vannett got more playing time after Luke Willson was knocked out of the game with a concussion. Even if Willson does not play Week 13, Vannett likely won't see more than a few targets. And the goal-line targets will first go to Jimmy Graham. 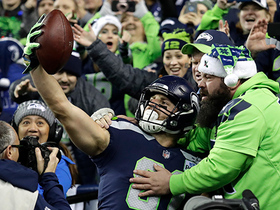 Seattle Seahawks tight end Nick Vannett celebrates with fans after quarterback Russell Wilson's shot-put touchdown pass. NFL Network's Adam Rank and Marcas Grant give out their predictions for how the top players will perform in the Week 14 Monday Night Football matchup between the Minnesota Vikings and Seattle Seahawks. 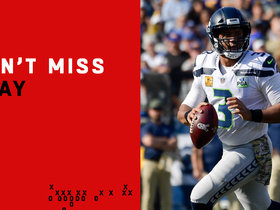 Seattle Seahawks quarterback Russell Wilson finds tight end Nick Vannett in space and he turns and races past the first-down marker. Seattle Seahawks tight end Nick Vannett gets 17-yard catch-and-run. The "NFL Fantasy Live" analysts discuss which players were top performers in Week 10. 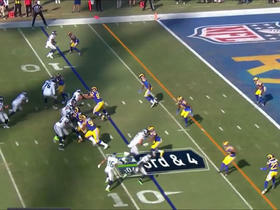 Seattle Seahawks quarterback Russell Wilson extends the play and tosses an 8-yard touchdown to tight end Nick Vannett. Take a look at the best catches from around the NFL in Week 9. Seattle Seahawks tight end Nick Vannett catches a 6-yard dart from quarterback Russell Wilson for a touchdown. Seattle Seahawks quarterback Russell Wilson tosses a shovel pass to tight end Nick Vannett who runs for a 32-yard gain.